I have been to New York more times than I can count on my fingers and toes combined. I haven't visited NYC as a "tourist" in many years. I cannot recall the last time I visited the Statue of Liberty, Empire State Building or any of the museums. In fact, my last touristy memory was vowing to never ever ever visit Empire State Building again in my life and more recently, never ever stepping foot in Times Square again. Well, things change when you travel to the City with someone for the first time. Gabe has never been to NY and we will be arriving on Friday morning, staying through Monday afternoon. While much of Sunday is shot with the NY Marathon, I will have to do some major planning to make sure he has an amazing time on our long weekend. So..........what to do? Where to go? Where to eat? I usually plan out my NY trips based on where I stay. This time around, we are fortunate to be staying with my family in the Upper East Side. For the first time in my adult life, I am sitting less than 4 days away from arriving on vacation with absolutely nothing planned for our trip. I am having a hard time trying to ensure we don't waste a single moment so he gets the most out of our trip. At the same time, I cannot overdo it on the days prior to the marathon. Lunch - David Burke Townhouse. I visited this establishment last summer and fell in love with it and cannot wait to bring Gabe here! Visit - This will be a packed day - first stop is at the Expo for packet pickup, then off to visit Rockefeller Center to watch people fall ice skating while eating a Macaron from Bouchon Baker, then off to pay respect at the 911 Memorial Center. If time permits, early cocktails at the MET. Visit - TBD - possibly Central Park Zoo since I have never been there myself! They open at 10am and have a 2 hour tour which would be perfect for us. Visit - Although this contradicts what I said above, Gabe cannot go to NYC without seeing Times Square (gag). We may try to catch a 2pm Matinee, keeping me off my feet and making the visit over there worth our time. Dinner - Either David Burkes Fishtail, Shake Shack or a giant Patsy's Pizza all to myself, depending on how I feel. 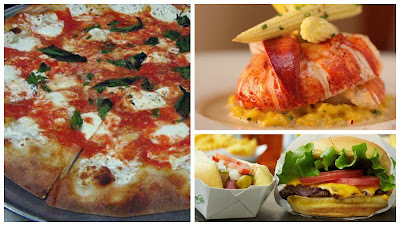 If you know my love of Lobster, Burgers and Pizza, you clearly understand my uncertainty to this decision. David Burkes Fishtail has Lobster Louie on Sunday nights only, a prix fixe 3 course lobster dinner for $38 a person. Yet knowing my belly issues on race day, I have a feeling we will be eating pizza since that is the one thing I can tolerate at any given time. Most people eat chicken noodle soup when they're sick - I eat Pizza. Breakfast - TBD - Maybe another bagel :) or the NY staple, Bacon, Egg and Cheese? Lunch - TBD .....is Katz too touristy? Or do we go to Momofuku Noodle Bar, which is a hike from where we are staying, but a place we both want to go to?? ORRR if we make the hike, Ed's Lobster Bar for the famous Lobster Roll, which Iron Chef Michael Symon called his favorite of all? For those who have been to NYC before, what am I missing? I've asked Gabe 100 times what he wants to do and he told me that he wants me to plan everything. I still ask nightly if there was anything particular dish he wants or site to see - I keep getting the same answer. We don't have the time to visit Statue of Liberty and as I mentioned above, going up the Empire State Building is something neither of us care to do. I've never been to New York (insert big sigh and incredibly sad face here)! However, Eataly and Momofuku have been on my list since I don't even remember when. 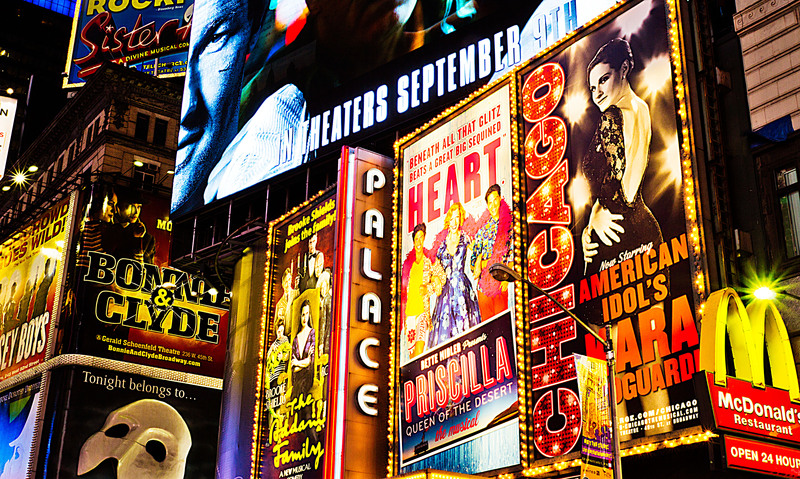 Whenever I am fortunate enough to visit the big apple, I'll be going to those two places! Have a great time! Ok...you must add a trip to Levain for some cookies. Or just pick some up before you leave and bring them home. Seriously. The best. Do it. And I'll put a vote in for visiting Ippudo for ramen if you decide against Momofuku. Get the pork belly buns and a bowl of the Akamaru Modern with soft boiled egg added. I'm still thinking about it more than a year afterward. I also realllly wanted to go to the Meatball Shop (right around the corner from Katz, actually), but we didn't have time. I've heard it's awesome for lunch! Love this post. Seriously...Chris didn't even wanna see Times Sqaure...and once he did, he hated it. I have an inkling Gabe will feel the same way. I'm interested in hearing how Central Park Zoo is! We had Momofuku on our list but it just didn't happen. Curious about that place too. If you decide against a bagel on Saturday morning, please go to Calle Ocho for endless free Sangria (they have like 6 kinds) with purchase of one of their delicious Latin-inspired brunch entrees. Remind me to tell you more about that place. And please find a way to squeeze in Balthazar for the ultimate fancy (without being fru fru) romantic dinner experience. I promise you'll be happy you did...though reservations may be an issue this late in the game :/ Annnnnd as far as that damn marathon goes, I know you'll show up to conquer it...enjoy it...I mean, talk about a once in a lifetime experience!